Empire Life (“we”, “our” or “us”) developed this website to make it easy for you to purchase services, products, and have access to a full service tech company. We understand that privacy is important to our online visitors and registered users. We respect your privacy and will take responsible steps to protect your information. All services have no refunds. All purchases and products have no refunds. All contracts auto-renew with the same contract for the next month unless fully canceled with a 30 day notice of cancellation. Failure to respond clearly to email about contract renewal within 30-days of contract expiring results in a $400 USD late notice fee, any transaction fees occurred, any and all service hours fees responsible to be paid through clients’ account. By providing your email address, or making a purchase on our website you acknowledge that you have read this Agreement, understand it, and agree to be bound by it legally. This INTERNATIONAL SERVICES AGREEMENT (“Agreement”), effective as of date of purchase, is made by and between “Empire Life”, through its representative Allison Ramsey (hereinafter referred to as the “Consultant”) and Empire Life business entity, Client buying product and becoming a member of the Empire Life website (hereinafter referred to as the “Client”). i) The Consultant specializes in furthering the client’s business goals. ii) The Client wishes to engage Consultant to provide the services described herein and Consultant agrees to provide the services for compensation and otherwise in accordance with the terms and conditions contained in this Agreement. 1.1 The scope and purpose of this Agreement is to build a strong long-term relationship between the Consultant and the Client. 2.2 The Consultant shall do its best to provide in good faith the above mentioned services to the Client in timely manner provided that time spent with the Consultant may not be the essence of the Agreement since the aim is to produce an web application in alignment with the client’s desired design expression. 3.1 The Consultant shall charge from the Client a fee of the Empire Life Academy payable in advance, or every month, in order to ensure the mutual commitments of both the Parties to the business. 4.1 The Client shall pay fees in timely manner without any unnecessary delay or hindrance. 4.2 The Client understands that if it does not make payments to the Consultant in timely manner, it shall bear a penalty of 10% on any pending amount. The contract will auto-renew when at the end of the contract unless otherwise communicated to the consultant, 30 days in advance of contract renewal. 4.3 The Client shall not dissolve, close down or abandon the company the Consultant helped them build and open another company with the same ideas/process as learnt from the Consultant to bypass the Consultant and avoid paying fees. A contravention to this clause by the Client shall give right to the Consultant to initiate legal proceedings against the Client. 4.4 Both Parties intend to enter into a long-term collaborative relationship that’s based on trust and they will do everything “in good faith” within their respective capacities within the terms of the Agreement to honor and fulfill their responsibilities toward the other party. 5.1 This Agreement will become effective as of the Effective Date and will, unless sooner terminated as set forth herein, remain effective for an initial term of 12 months. c) The Client is found in committing a breach of any material term of this Agreement. 5.3 The Client shall not be entitled to terminate the Agreement before 3 months from the Effective Date of the Agreement. If it wishes to terminate prior to this date, it shall pay the full fee of the remaining payments. a) The Client shall not receive back its Annual Fee or any variable payments already made to the Consultant in advance. b) The Client shall pay to the Consultant any fee percentages owed until the date of Termination. c) The Client shall immediately abandon and stop using any and all strategies, intellectual properties, marketing copy and sales approaches that clearly trace back to the Consultant. A contravention to this clause by the Client shall give right to the Consultant to initiate legal proceedings against the Client. d) The Consultant shall continue owning all the content she used and developed while helping the Client in brand building and marketing. e) In case if the Client breaches any clause of this Agreement, it shall pay reasonable compensation to the Consultant. 5.5 Material Breach: Upon the occurrence of a material breach or default as to any obligation hereunder by either party and the failure of the breaching party to promptly pursue (within thirty (30) days after receiving written notice thereof from the non-breaching party) a reasonable remedy designed to cure (in the reasonable judgment of the non-breaching party) such material breach or default, this Agreement may be terminated by the consultant by giving written notice of termination to the breaching party, such termination being immediately effective upon the giving of such notice of termination. 5.6 Bankruptcy: Upon the filing of a petition in bankruptcy, insolvency or reorganization against or by either party, or either party becoming subject to a composition for creditors, whether by law or agreement, or either party going into receivership or otherwise becoming insolvent (such party hereinafter referred to as the “insolvent party“), this Agreement may be terminated by the other party by giving written notice of termination to the insolvent party, such termination immediately effective upon the giving of such notice of termination. In the case if the Agreement is terminated on ground that the Client becomes bankrupt, the Client shall be barred from using or taking advantage of any process, technique, trade secret or similar other marketing strategy which has been created by the Consultant. The client shall by be barred from using the IP and mobile application. 5.7 Change of Control: Upon the occurrence of a change in control or management or operating personnel of either party (the “changed party“), which has, or in the reasonable opinion of the other party could have, a material adverse effect on the business, prospects or operations of such changed party and the failure of such changed party to promptly pursue (within thirty (30) days after receiving written notice thereof from the other party) a remedy designed to cure (in the sole judgment of the other party) the other party’s objections to such change, this Agreement may be terminated by consultant by giving written notice of termination to the changed party, such termination being immediately effective upon the giving of such notice of termination. 5.8 Early Termination: In the event that either party believes that the other materially has breached any obligations under this Agreement, such party shall so notify the breaching party in writing. The breaching party shall have 30 days from the receipt of notice to cure the alleged breach and to notify the non-breaching party in writing that cure has been effected. 6.1 The Client acknowledges and agrees that, the Consultant shall be entitled to equitable remedies include injunctions and specific performance if there is a breach of any provisions of this Agreement committed by the Client. In addition to any and all other rights available according to law, if the Client defaults by failing to substantially perform any material provision, term or condition of this Agreement, the Consultant may elect to terminate this Agreement immediately after the notice period, if the default is not cured as per the “Early Termination” clause. 7.1 For purposes of this Agreement, “Confidential Information” shall mean and include any information or material which is proprietary to the Consultant, whether or not owned or developed by the Consultant, which is not generally known other than by the Consultant, and which the Client may obtain only through any direct or indirect contact with the Consultant. 7.2 Regardless of whether specifically identified as confidential or proprietary, the Confidential Information shall include any material, design and content shared by the Consultant with the Client, including, without limitation, any plans, trade secrets, technical data, product ideas, contracts, financial information, pricing structure, copyrights and intellectual property, strategic alliances, partners, customer and client lists, and any such material or information that has or could have commercial value or other utility in the business in which the Consultant is engaged. 7.3 The Client understands and acknowledges that the Confidential Information is a valuable, special and unique asset and intellectual property of the Consultant which provides the Client with a significant competitive advantage, and needs to be protected from improper disclosure. 7.4 The Client shall hold and maintain the Confidential Information in strictest confidence for the sole and exclusive benefit of the Consultant. The Client shall not disclose the Confidential Information to any other person without the prior written consent of the Consultant. 7.5 Any violation of this clause shall constitute a material breach against which the Consultant shall have a right to immediately terminate the Contract and initiate legal proceedings against the Client at appropriate forum for damages and any other remedy as deemed necessary by the management of the Consultant. b) Have no restrictions that would impair their ability to perform their obligations under this Agreement. 9.1 Each party (“Indemnitor”) shall defend, indemnify, and hold harmless the other party and its officers, directors, employees, representatives, licensees, and authorized agents (“Indemnitee”) from and against any and all third party claims, liability, damages, costs and expenses (including reasonable attorneys’ fees), arising out of, related to, or in connection with Indemnitor’s breach of any representation or warranty in the Agreement. Indemnitee will promptly notify the Indemnitor in writing of any such claim. Indemnitee shall give Indemnitor sole control over the defense and/or settlement of any such claim, except that the Indemnitor will not agree to any settlement or compromise that would require Indemnitee to make any payments, bear any obligations, or admit to any liability or wrongdoing on the part of Indemnitee unless Indemnitor obtains Indemnitees prior written approval. 10.1 Notices and Consent. All notices in connection with this Agreement shall be in writing and deemed given when personally delivered, upon confirmed receipt when delivered electronically or via facsimile, or three (3) days after being sent by certified U.S. mail, postage prepaid, return receipt requested, and addressed to the address provided above or such other address last provided by written notice. Wherever in this Agreement written approval or consent is required, either party may give such approval or consent via email. 10.2 Assignment. Neither party shall assign this Agreement in whole or in part without the prior written consent of the other party. 10.3 Independent Contractors. The parties are independent contractors. Nothing herein will be construed as creating any agency, partnership, or other form of joint enterprise between the parties, and neither party may create any obligations or responsibilities on behalf of the other party. 10.4 Force Majeure. Either party will be excused from a delay in performing, or failure to perform, its obligations under the Agreement to the extent such delay or failure is caused by the occurrence of any contingency beyond the reasonable control, and without any fault, of such party, which contingencies include but are not limited to acts of God, war, riot, power failures, fires, and floods. 10.5 Waiver. No waiver by either party of a breach of any provision hereof will be taken or held to be a waiver of any other breach of such provision or a waiver of the provision itself. 10.6 Severability. If any portion of this Agreement is held to be illegal or unenforceable, that portion shall be restated, eliminated or limited to the minimum extent necessary so that this Agreement shall reflect as nearly as possible the original intention of the parties and the remainder of this Agreement shall remain in full force and effect. 10.7 Governing Law. The Agreement and any dispute relating thereto shall be governed by and construed in accordance with the laws of Texas in The United States Of America (U.S.A). 10.8 Entire Agreement and Amendments. This Agreement contains the entire understanding of the parties regarding its subject matter and supersedes and cancels all other agreements, whether oral or written. Otherwise, this Agreement may only be amended by a subsequent written agreement signed by both parties hereto. 10.9 Contract Acceptance and Counterparts. This Agreement may be executed in counterparts, each of which will be deemed an original, but all of which together will constitute one and the same instrument. Execution and delivery of the Agreement may be evidenced by mainlining receipt or electronic transmission record. If you do not agree to any of the terms below, Empire Life, LLC is unwilling to grant you access to its services or those areas of its web site that are open to its clients. If you are unwilling to accept all of the terms of this Agreement, you should not create an account and you should exit the web site. i) The Consultant specializes in furthering the client’s social media automation goals. ii) The Client wishes to engage Consultant to provide the services described herein and Consultant agrees to provide the services for compensation and otherwise in accordance with the terms and conditions contained in this Agreement. When this contract is signed it is also agreed to all online terms and conditions of Empire Life. 1.1 The Consultant will enroll client into Empire Life’s social media automation software. 1.2 The scope and purpose of this Agreement is to build a strong long-term relationship between the Consultant and the Client. The aim of this Agreement is to help the Client with social media automations. 1.3 Client is given 1-5 social media accounts space for enrolling in the Empire Life Social Media Automation System. a) Enroll client into Empire Life’s Social Media Automation System. 3.1 The Consultant shall charge from the Client a fee of $500 USD per month, for 12 months. 4.2 The Client understands that if it does not make payments to the Consultant in timely manner, it shall bear a penalty of 10% on any pending amount. Client will receive an email regarding this matter. The contract will auto-renew when at the end of the contract if something else is not communicated with the consultant. 5.1 This Agreement will become effective as of the Effective Date, for the agreed 12 months. 6.1 For purposes of this Agreement, “Confidential Information” shall mean and include any information or material which is proprietary to the Consultant, whether or not owned or developed by the Consultant, which is not generally known other than by the Consultant, and which the Client may obtain only through any direct or indirect contact with the Consultant. 6.2 Regardless of whether specifically identified as confidential or proprietary, the Confidential Information shall include any material, design and content shared by the Consultant with the Client, including, without limitation, any plans, trade secrets, technical data, product ideas, contracts, financial information, pricing structure, copyrights and intellectual property, strategic alliances, partners, customer and client lists, and any such material or information that has or could have commercial value or other utility in the business in which the Consultant is engaged. 6.3 The Client understands and acknowledges that the Confidential Information is a valuable, special and unique asset and intellectual property of the Consultant which provides the Client with a significant competitive advantage, and needs to be protected from improper disclosure. 6.4 The Client shall hold and maintain the Confidential Information in strictest confidence for the sole and exclusive benefit of the Consultant. The Client shall not disclose the Confidential Information to any other person without the prior written consent of the Consultant. 6.5 Any violation of this clause shall constitute a material breach against which the Consultant shall have a right to immediately terminate the Contract and initiate legal proceedings against the Client at appropriate forum for damages and any other remedy as deemed necessary by the management of the Consultant. 8.1 Each party (“Indemnitor”) shall defend, indemnify, and hold harmless the other party and its officers, directors, employees, representatives, licensees, and authorized agents (“Indemnitee”) from and against any and all third party claims, liability, damages, costs and expenses (including reasonable attorneys’ fees), arising out of, related to, or in connection with Indemnitor’s breach of any representation or warranty in the Agreement. Indemnitee will promptly notify the Indemnitor in writing of any such claim. Indemnitee shall give Indemnitor sole control over the defense and/or settlement of any such claim, except that the Indemnitor will not agree to any settlement or compromise that would require Indemnitee to make any payments, bear any obligations, or admit to any liability or wrongdoing on the part of Indemnitee unless Indemnitor obtains Indemnitees prior written approval. 9.1 Independent Contractors. The parties are independent contractors. Nothing herein will be construed as creating any agency, partnership, or other form of joint enterprise between the parties, and neither party may create any obligations or responsibilities on behalf of the other party. 9.2 Force Majeure. Either party will be excused from a delay in performing, or failure to perform, its obligations under the Agreement to the extent such delay or failure is caused by the occurrence of any contingency beyond the reasonable control, and without any fault, of such party, which contingencies include but are not limited to acts of God, war, riot, power failures, fires, and floods. 9.3 Waiver. No waiver by either party of a breach of any provision hereof will be taken or held to be a waiver of any other breach of such provision or a waiver of the provision itself. 9.4 Severability. If any portion of this Agreement is held to be illegal or unenforceable, that portion shall be restated, eliminated or limited to the minimum extent necessary so that this Agreement shall reflect as nearly as possible the original intention of the parties and the remainder of this Agreement shall remain in full force and effect. 9.5 Governing Law. The Agreement and any dispute relating thereto shall be governed by and construed in accordance with the laws of Austin, Texas in The United States Of America (U.S.A). 9.6 Entire Agreement and Amendments. This Agreement contains the entire understanding of the parties regarding its subject matter and supersedes and cancels all other agreements, whether oral or written. Otherwise, this Agreement may only be amended by a subsequent written agreement signed by both parties hereto. 9.7 Contract Acceptance and Counterparts. This Agreement may be executed in counterparts, each of which will be deemed an original, but all of which together will constitute one and the same instrument. Execution and delivery of the Agreement may be evidenced by mainlining receipt or electronic transmission record. 10.1 Business communication hours are from Monday thru Thursday 1pm-5pm CST. 10.2 Any and all emergency situations with any applications needing to be handled on the weekend will be billed on an hourly and fee basis. 10.3 Sunday business communication is closed. When you agree to the terms of service of Empire Life you are effectively signing this contract. IN WITNESS WHEREOF, the parties have caused this Agreement to be executed by their duly authorized representatives as of the Effective Date. Personal Information is information that identifies you or relates to your use of the Products and Services. Empire Life collects Personal Information from you that you enter to obtain a valid Empire Life account or give to Empire Life in any other way. You can choose not to provide certain Personal Information, but then you may not be able to take advantage of certain features offered by Empire Life. Empire Life uses the Personal Information to respond to your requests, customize features, develop new products and services, improve existing Products and Services, communicate with you, or for any other reason. The Personal Information collected by Empire Life is kept completely private and confidential and is not shared with third parties, unless you submit a lead form from the Resources section of the website; in which base the contact information you provide will shared with the third-party who fulfills the specified product or service. Empire Life shall make no effort to validate any information provided by you. Although Empire Life does not license or sell your Personal Information to third parties, Empire Life may disclose your Personal Information as required by law or if Empire Life has a good faith belief that the disclosure of your Personal Information is reasonably necessary to protect the rights, property, or safety of you, Empire Life, or other third party. We do not provide any personal information to advertisers or to third party sites. Advertisers and other third-parties (including the ad networks, ad-serving companies, and other service providers they may use) may assume that users who interact with or click on a personalized ad or content are part of the group that the ad or content is directed towards. Also, some third-party cookies may provide them with information about you (such as the sites where you have been shown ads or demographic information) from offline and online sources that they may use to provide you more relevant and useful advertising. This website may permit third parties to collect information on its Site and combine that information with other information collected on non-affiliated websites or applications over time. These third parties may use technologies, including cookies and web beacons, to collect information about Consumers’ or Customers’ use of the Site in order to analyze, report on, or customize content or advertising on the this website or on other sites, or to help us operate and improve the Site. To find out more about interest-based advertising in the web environment, and how to opt-out of information collection for this purpose by companies that participate in the Network Advertising Initiative or the Digital Advertising Alliance, visit NAI’s opt-out page or DAA’s Consumer Choice Page. Empire Life provides online services (“Services”) intended to assist individuals in creating and viewing online empires to assist entrepreneurs, influencers and game-changers in building and scaling a business. Users of the service provide the information necessary for accomplishing these connections. All information and services are exchanged electronically, via the internet and the phone or a virtual meeting room. You are responsible for maintaining your own access to the internet. Empire Life is a privately owned and operated service and does not represent or speak for any governmental office or authority. Empire Life offers services and products. Paid services are available for additional fees. If you purchase services or products, You agree to pay Empire Life fees. By completing and submitting the credit card or other payment authorization through the Site, you are authorizing Empire Life to charge the fees to the account you identify. All purchases made are non-refundable. All sales are final. Subscription to the Service and payment of any fee authorizes a single individual to use the Service. If you choose to create an account using an e-mail address and password, you are responsible for maintaining the confidentiality of such e-mail addresses and passwords. You are responsible for maintaining the confidentiality of such passwords and/or user I.D., and you agree that you will be responsible for all use of any such password and/or user I.D., including any access to, or use of, the Service by unauthorized persons. In the event that your password and/or user I.D. is lost or stolen, please notify Empire Life immediately so that a new password or user I.D. may be issued promptly. You may not grant, resell or sublicense access to the Site or the Service, or any of the rights granted to you herein, to any third party. You agree not to reproduce, duplicate, copy, sell, resell or exploit any part of the Site or the Service. You may not decompile, disassemble, reverse engineer or otherwise attempt to obtain or access the source code from which any component of the Site or the Service is compiled or interpreted, and nothing in this Agreement may be construed to grant any right to obtain or use such source code. You agree not to use the Site or the Service to violate any local, state, national or international law or to impersonate any person or entity, or otherwise misrepresent your identity or your affiliation with a person or entity. THE SERVICE, AND ALL INFORMATION, CONTENT, AND MATERIALS RELATED TO THE FOREGOING, ARE PROVIDED “AS IS.” EXCEPT AS EXPRESSLY STATED IN THIS AGREEMENT, EMPIRE LIFE DISCLAIMS ALL WARRANTIES, EXPRESS OR IMPLIED, INCLUDING, BUT NOT LIMITED TO, ANY WARRANTIES OF MERCHANTABILITY, FITNESS FOR A PARTICULAR PURPOSE, TITLE, NON-INFRINGEMENT, NON-INTERFERENCE, SYSTEM INTEGRATION AND ACCURACY OF DATA. EMPIRE LIFE DOES NOT WARRANT THAT USE OF THE SERVICE WILL BE UNINTERRUPTED, ERROR-FREE OR VIRUS FREE. ALTHOUGH INFORMATION THAT YOU SUBMIT MAY BE PASSWORD PROTECTED, EMPIRE LIFE DOES NOT GUARANTEE THE SECURITY OF ANY INFORMATION TRANSMITTED TO OR FROM THE SITE AND YOU AGREE TO ASSUME THE SECURITY RISK FOR ANY INFORMATION YOU PROVIDE THROUGH THE SITE. IN NO EVENT SHALL EMPIRE LIFE OR ITS AFFILIATES BE LIABLE FOR ANY INDIRECT, INCIDENTAL, CONSEQUENTIAL OR SPECIAL DAMAGES, OR FOR LOSS OF PROFITS OR DAMAGES ARISING DUE TO BUSINESS INTERRUPTION OR FROM LOSS OR INACCURACY OF INFORMATION, TO THE EXTENT ANY OF THE FOREGOING ARISES IN CONNECTION WITH THIS AGREEMENT OR YOUR USE OR INABILITY TO USE THE SERVICE, AND/OR THE SITE, WHETHER OR NOT SUCH DAMAGES WERE FORESEEABLE AND EVEN IF EMPIRE LIFE WAS ADVISED THAT SUCH DAMAGES WERE LIKELY OR POSSIBLE. IN NO EVENT WILL THE AGGREGATE LIABILITY OF EMPIRE LIFE TO YOU FOR ANY AND ALL CLAIMS ARISING IN CONNECTION WITH THIS AGREEMENT, THE SITE, OR THE SERVICE, EXCEED THE TOTAL FEES PAID TO EMPIRE LIFE BY YOU DURING THE SIX-MONTH PERIOD PRECEDING THE DATE OF ANY CLAIM. YOU ACKNOWLEDGE THAT THIS LIMITATION OF LIABILITY IS AN ESSENTIAL TERM BETWEEN YOU AND EMPIRE LIFE RELATING TO THE PROVISION OF THE SERVICE TO YOU AND EMPIRE LIFE WOULD NOT PROVIDE THE SERVICE TO YOU WITHOUT THIS LIMITATION. upload, post, publish, reproduce, transmit or distribute in any way any component of the Site itself or derivative works with respect thereto. 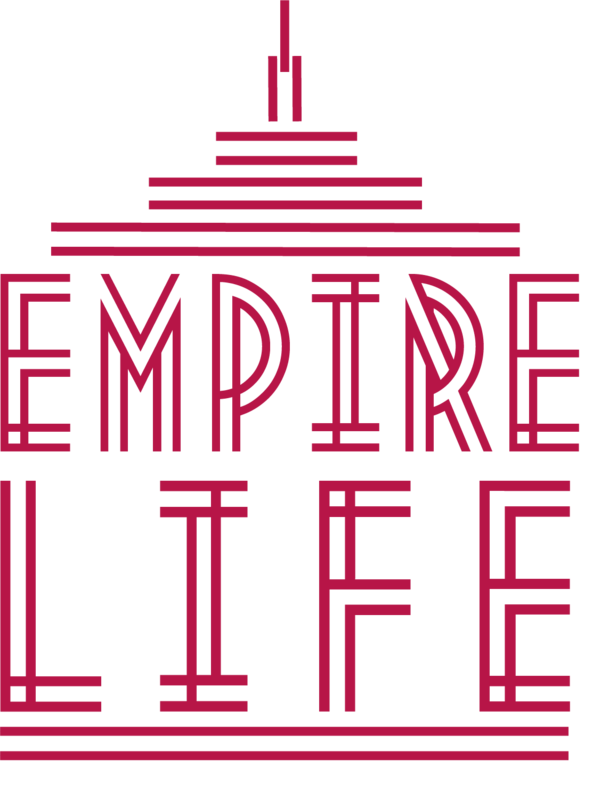 Empire Life has no obligation to monitor the Site. However, you acknowledge and agree that Empire Life has the right to monitor the Site electronically from time to time and to disclose any information as necessary or appropriate to satisfy any law, regulation or other governmental request, to operate the Site properly, or to protect itself or its customers. Empire Life reserves the right to refuse to post or to remove any information or materials, in whole or in part, that, in its sole discretion, are unacceptable, undesirable, inappropriate or in violation of this Agreement. Other than the personal information submitted by you for the purpose of utilizing the Service, any communications or material of any kind, including data, questions, comments or suggestions, that you email, post or otherwise transmit through the Site will be treated as non-confidential and nonproprietary. Empire Life reserves the right to share certain account or other information with governmental organizations or other third parties when it believes in good faith that the law or legal process requires it, or when it is necessary to do so to protect the rights or property of Empire Life or others. YOU AGREE TO INDEMNIFY AND HOLD HARMLESS EMPIRE LIFE AND ITS AFFILIATES AND MEMBERS, AGENTS, AND EMPLOYEES FROM AND AGAINST ALL LOSSES, EXPENSES, DAMAGES, COSTS AND LIABILITIES, INCLUDING REASONABLE ATTORNEYS’ FEES, INCURRED BY EMPIRE LIFE AND RESULTING FROM ANY VIOLATION OF THIS AGREEMENT OR ANY ACTIVITY RELATED TO YOUR ACCOUNT BY YOU OR ANY OTHER PERSON ACCESSING THE SITE WITH YOUR PASSWORD. This Agreement will become effective and binding when you have acknowledged your acceptance of all the terms and conditions herein by following the instructions set forth on the Site. Once in effect, this Agreement will continue in operation until terminated by either you or us. However, even after termination, the provisions of sections III and VI of this Agreement will remain in effect. You may terminate this Agreement at any time and for any reason by providing notice to Empire Life in the manner specified on the Site. We may terminate this Agreement without notice or, at our option, temporarily suspend your access to the Service and/or the Site, in the event that you breach this Agreement. Notwithstanding the foregoing, Empire Life also reserves the right to terminate this Agreement at any time and for any reason by providing notice to you either through email or other reasonable means. After termination of this Agreement for any reason, you understand and acknowledge that Empire Life will have no further obligation to provide the Service or access to the Site, you will still need to pay any pending fees on your account. Upon termination, all licenses and other rights granted to you by this Agreement will immediately cease, all IP still belongs to Empire Life until the fees are paid in full. Empire Life may change the terms of this Agreement from time to time. Empire Life is not obligated to notify you. Any such changes will become effective when posted on the Site. Continued use of the Service or the Site following notice of any such changes will indicate your acknowledgement of such changes and agreement to be bound by such changes. Empire Life reserves the right to modify or discontinue the Service with or without notice to you. In the event of such modification or discontinuation of the Service. Continued use of the Service following notice of any such changes will indicate your acknowledgement and acceptance of such changes and satisfaction with the Service as so modified. Empire Life and/or its vendors and suppliers, as applicable, retain all right, title and interest in and to the Service, the Site and all information, content, software and materials provided by or on behalf of Empire Life. Except for the use of publicly available forms and information which you obtain from sources other than Empire Life, you agree that you will not copy, reproduce, distribute or create derivative works from any information, content, software or materials provided by Empire Life, or remove any copyright or other proprietary rights notices contained in any such information, content, software or materials without the copyright owner’s prior written consent. Your feedback is welcome and encouraged. You agree, however, that (i) by submitting unsolicited ideas to Empire Life, you automatically forfeit your right to any intellectual property rights in such ideas; and (ii) unsolicited ideas submitted to Empire Life or any of its employees or representatives automatically become the property of Empire Life. You shall comply with all laws, rules and regulations now or hereafter promulgated by any government authority or agency that are applicable to your use of the Service or the Site, or the transactions contemplated in this Agreement. Any attempt to sublicense, assign or transfer any of the rights, duties or obligations hereunder or to exceed the scope of this Agreement is void. This Agreement and the rights and obligations of the parties with respect to the Site and the Service will be subject to and construed in accordance with the laws of the State of Texas, excluding conflict of law principles. You consent to jurisdiction and venue exclusively in the State of Texas. This is the entire agreement between you and Empire Life with regard to the matters described herein and govern your use of the Service and the Site, superseding any prior agreements between you and Empire Life with respect thereto. The failure of Empire Life to exercise or enforce any right or provision of this Agreement shall not constitute a waiver of such right or provision. If any provision of this Agreement is found by a court of competent jurisdiction to be invalid, the parties nevertheless agree that the court should endeavor to give effect to the parties’ intentions as reflected in the provision, and the other provisions hereof shall remain in full force and effect. You agree that regardless of any statute or law to the contrary, any claim or cause of action arising out of this Agreement or related to use of the Service or the Site must be filed within one (1) year after such claim or cause of action arose or be forever barred and filed in Austin, Texas following Texas Law. “Content” means any information, text, graphics, or other materials uploaded, downloaded or appearing on the Empire Life. You retain ownership of all Content you submit, post, display, or otherwise make available on Empire Life. By submitting, posting or displaying Content on or through Empire Life, you grant us a worldwide, non-exclusive, royalty-free license (with the right to sublicense) to use, copy, reproduce, process, adapt, modify, create derivative works from, publish, transmit, display and distribute such Content in any and all media or distribution methods (now known or later developed). You agree that this license includes the right for other users of the Service to modify your Content, and for Empire Life to make your Content available to others for the publication, distribution, syndication, or broadcast of such Content on other media and services, subject to our terms and conditions for such Content use. Such additional uses by Empire Life or others may be made with no compensation paid to you with respect to the Content that you submit, post, transmit or otherwise make available through the service of Empire Life. We may modify, adapt, or create derivative works from your Content in order to transmit, display or distribute it over computer networks and in various media and/or make changes to your Content as are necessary to conform and adapt that Content to any requirements or limitations of any networks, devices, services or media. Additionally, by uploading content to Empire Life, you warrant, represent and agree that you have the right to grant Empire Life the license described above. You also represent, warrant and agree that you have not and will not contribute any Content that (a) infringes, violates or otherwise interferes with any copyright or trademark of another party, (b) reveals any trade secret, unless the trade secret belongs to you or you have the owner’s permission to disclose it, (c) infringes any intellectual property right of another or the privacy or publicity rights of another, (d) is libelous, defamatory, abusive, threatening, harassing, hateful, offensive or otherwise violates any law or right of any third party, (e) creates an impression that you know is incorrect, misleading, or deceptive, including by impersonating others or otherwise misrepresenting your affiliation with a person or entity; (f) contains other people’s private or personal information without their express authorization and permission, and/or (g) contains or links to a virus, trojan horse, worm, time bomb or other computer programming routine or engine that is intended to damage, detrimentally interfere with, surreptitiously intercept or expropriate any system, data or information. Empire Life reserves the right in its discretion to remove any Content from the Site, suspend or terminate your account at any time, or pursue any other remedy or relief available under equity or law. Subject to these Terms, Empire Life gives you a worldwide, royalty-free, revokable, non-assignable and non-exclusive license to repost any of the Content on Empire Life Discuss anywhere on the rest of the web provided that the user who created the content has not explicitly marked the content as not for reproduction, and provided that you: (a) do not modify the Content; (b) attribute Empire Life by name in readable text and with a human and machine-followable link. You may only use the attribution required by this Section in the manner set out above. In exercising these rights, you may not implicitly or explicitly assert or imply any connection with, sponsorship or endorsement by Empire Life, or any Empire Life user of you or your use of the work, without the separate, express prior written permission of Empire Life or the Empire Life user. You must use a descriptive user agent header. You must follow robots.txt at all times. Subject to these Terms, Empire Life gives you a personal, worldwide, royalty-free, revocable, non-assignable and non-exclusive license to use the Service as it is provided to you by Empire Life. All Content, whether publicly posted or privately transmitted, is the sole responsibility of the person who originated such Content. We may not monitor or control the Content posted via the Service. Any use of or reliance on any Content or materials posted via the Service or obtained by you through the Service is at your own risk. We do not endorse, support, represent or guarantee the completeness, truthfulness, accuracy, or reliability of any Content or communications posted via the Service or endorse any opinions expressed via the Service. You understand that by using the Service, you may be exposed to Content that might be offensive, harmful, inaccurate or otherwise inappropriate. Under no circumstances will Empire Life be liable in any way for any Content, including, but not limited to, any errors or omissions in any Content, or any loss or damage of any kind incurred as a result of the use of any Content made available via the Service or broadcast elsewhere. You are responsible for your use of the Service, for any Content you provide, and for any consequences thereof, including the use of your Content by other users and third party partners. You understand that your Content may be republished and if you do not have the right to submit Content for such use, it may subject you to liability. Empire Life will not be responsible or liable for any use of your Content by Empire Life in accordance with these Terms. We reserve the right at all times (but will not have an obligation) to remove or refuse to distribute any Content on the Service and to terminate users or reclaim usernames. We also reserve the right to access, read, preserve, and disclose any information if we believed in good faith that it is reasonably necessary to (i) satisfy any applicable law, regulation, legal process or governmental request (for example, subpoenas or warrants), (ii) enforce or administer our agreements with users (such as these Terms), including investigation of potential violations hereof, (iii) detect, prevent, or otherwise address fraud, security or technical issues, (iv) respond to user support requests, or (v) protect the rights, property or safety of Empire Life, its users and the public. Designed by Empire Life. Empire Life 2018.